Only minutes from Toronto Pearson International Airport, the Toronto Airport Marriott Hotel boasts vibrant settings, stylish guestrooms and legendary service. Perfect for business and leisure travelers alike, this Toronto airport hotel’s accommodations are just a short drive from the International Centre and Toronto Congress Centre – and include complimentary airport shuttle service. Guests will also find themselves only 20 minutes from the excitement of downtown Toronto, including the CN Tower, Rogers Centre, Canada’s Wonderland and Royal Woodbine Golf Club. At Toronto Airport Marriott Hotel’s Toronto restaurant, Bistro West by East, guests can enjoy cuisine inspired cuisine in an innovative, upscale setting. The Toronto Airport Marriott is one of the area’s premier meeting facilities with over 18,000 sq. ft. of flexible event space, ideal for engaging meetings, group events and exquisite weddings. Experience the Toronto Airport Marriott and discover one of the premier hotels near Toronto Airport on your next visit. One of the Closest Hotels to Pearson International Airport (YYZ) and The Airport Corporate West Business park in Mississauga. Courtyard by Marriott Toronto Airport offers an excellent access point to all area attractions including Woodbine Race track and Casino, Royal Woodbine Golf, Niagara Falls, Paramount Canada’s Wonderland, Playdium and Wild Water Kingdom. The Courtyard Toronto Airport is located minutes from local corporate head offices including Fedex, Samsung, HP, CitiGroup, Bell, and TD Bank. Each room has free high speed wireless Internet. Take advantage of Toronto Airport Marriott Hotel’s complimentary 24 hour airport shuttle. Unwind in their bright and spacious pool and fitness centre. Enjoy a hearty breakfast at the Courtyard Cafe serving a hot buffet daily. Perfect for business and fun, the friendly staff at Toronto Airport Marriott Hotel will ensure you have a great stay! Ideally located on the Northern edge of Toronto, Hotel Novotel Toronto Vaughan provides a contemporary destination for business and leisure travelers. Offering modern accommodations and a highly accessible location, their Toronto Ontario hotel features 149 rooms and sophisticated amenities, such as complimentary WiFi, a full service onsite restaurant, an indoor saltwater pool, and versatile event space. 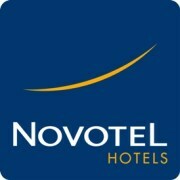 Hotel Novotel Toronto Vaughan is conveniently situated in the heart of Vaughan Corporate Centre (home to Marsham International head office) and is easily accessible from major highways, making Hotel Novotel Toronto Vaughan a premier option among hotels in Toronto.